Jan-Michael Cart is back in action with his iOS 5 concept videos. This morning he posted an update to his blog about his latest video titled, “Dynamic Icons”. The premise involves homescreen icons being updated to reflect push notifications–making a formerly dead homescreen into something that is full of life. Users have the option of turning on these “dynamic icons” by going to the Settings. Icons are granted the ability to change their appearance given a variety of push notifications. In turn, once the notification badge is pushed, a new icon file is displayed. These icons can have text (albeit small, but legible text due to the Retina Display), images, a mixture of the two, or something constantly changing (but based on an internal source, not using cellular data â€” a la Clock app that displays time). I thought of another alternative to the widgets as well. This time, it’s called “App Preview”, or just “Preview”. Double tap anywhere in the grid pattern that is not an icon (one handed), or pinch-to-zoom (two handed), and the icons immediately expand as if your icon grid is 2×2. The same information and interaction typical of a widget is found on the app icon itself â€” the App Preview comes with the app download. No need to download anything more. 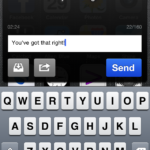 *And importantly, no need to manage these separately (as you must with widgets) The Preview is coded within every app. You can swipe in any direction in Preview where there are icons in the normal view. If you’re lost, the “home screen pages” reflects which App Preview screen you’re in. To exit, double tap the empty space or hit the home button. 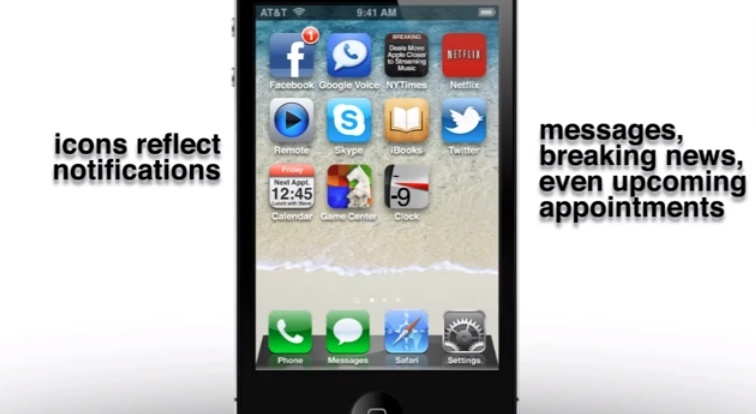 This is definitely a very creative way of getting notifications, that will keep things clean on your homescreen. But at the same time, the homescreen will turn into one overwhelming arena of endless notifications. I still like his creative and thoughtful concepts though. Really great stuff! Maybe Jan-Michael Cart could be on his way to Apple like Peter Hajas one day too? This undergraduate from the University of Georgia has already applied for internships to Apple and Google. Place your bets–who’s going to nab him first?